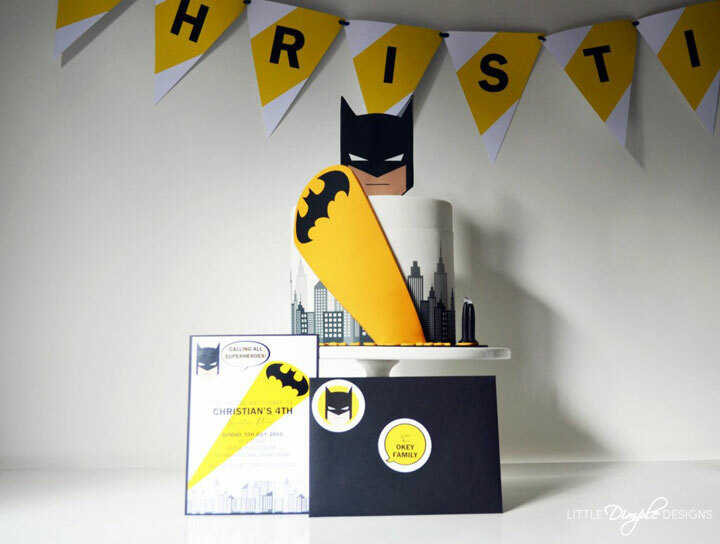 Each year I design a new theme for my son’s birthday. 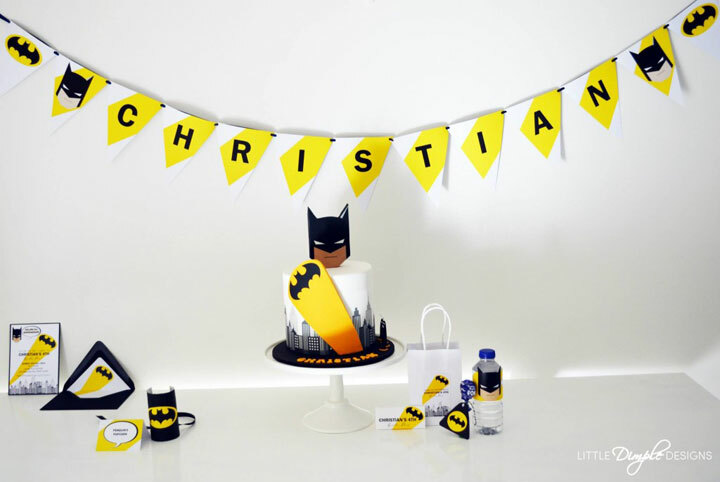 This year he had an obsession with superheroes – any kind of superhero. 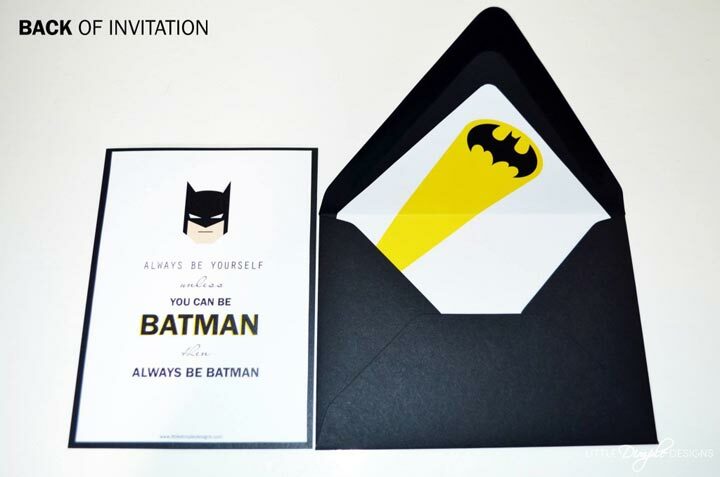 Now you may be thinking BAM that’s the theme for his birthday party done and dusted, just combine Marvel and DC superheroes into one, but as they say in Ghost Busters “never cross the streams”, so I had to choose one or the other. 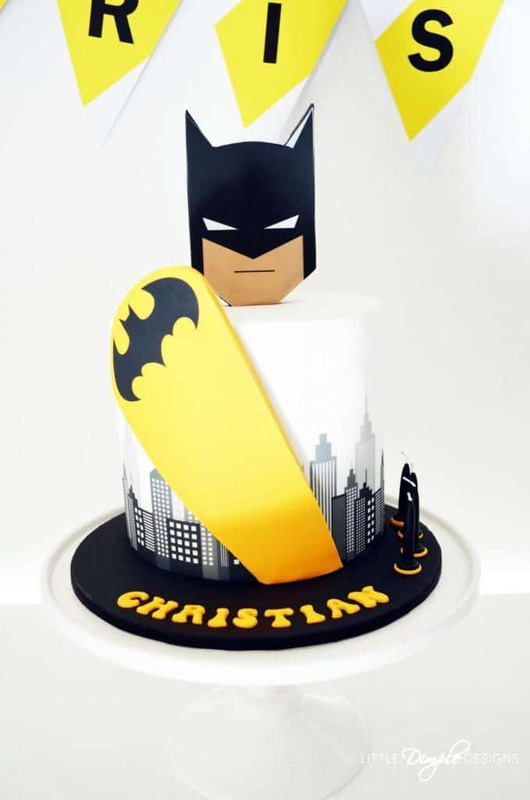 As my son was turning four I still had some pull over which superhero to choose so I went with Batman, luckily he loved it, hope you do too. My son loves to watch the computer screen while I design the printables for his birthday party. 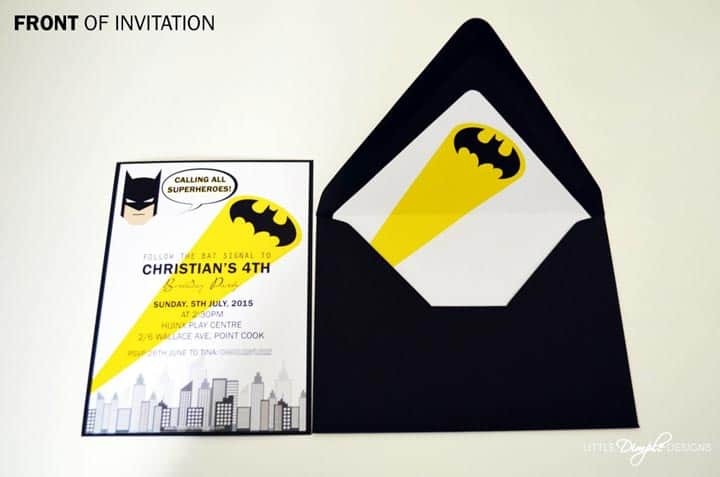 One day he came over and handed me a drawing he did and said “this is for you to say thank you for all that you’re doing for my Batman party”, awwww, melted my heart and makes the effort well worth it. 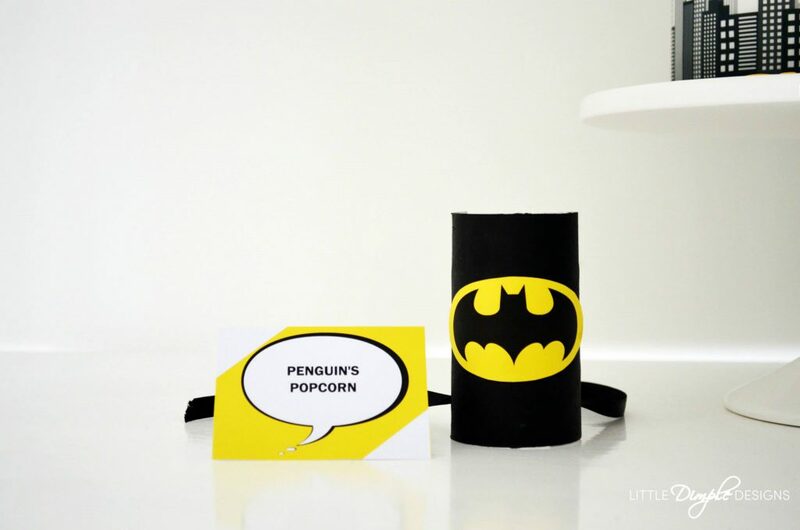 I got the idea to create superhero cuffs for the children to wear from Pinterest, I just altered it a little by sticking on Batman logos I had designed earlier. 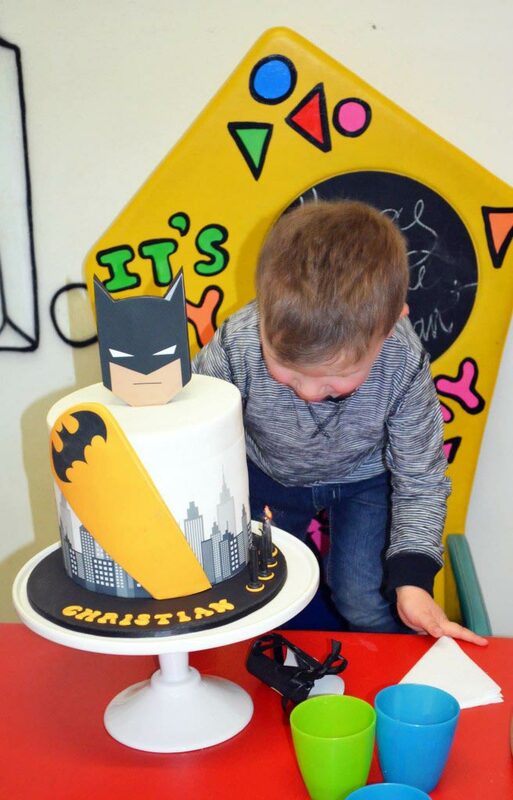 Birthday boy blowing out his Batman cake candles. 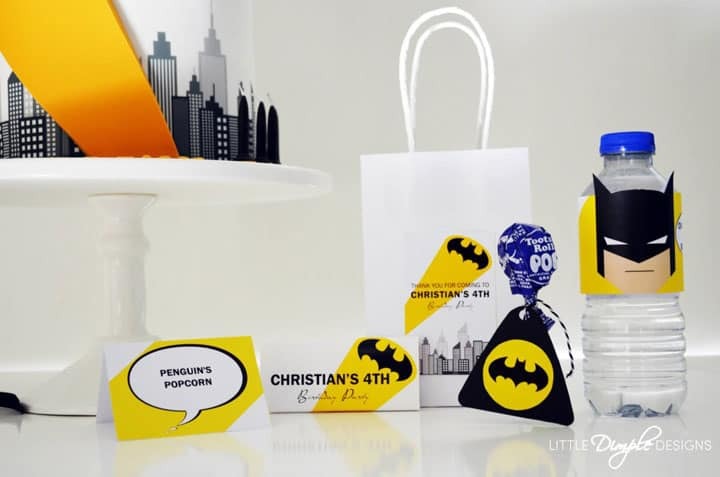 Hope this gives you some ideas for your own Batman party.